I seriously had to google the spelling of that bour thing part to make sure I spelled it right. 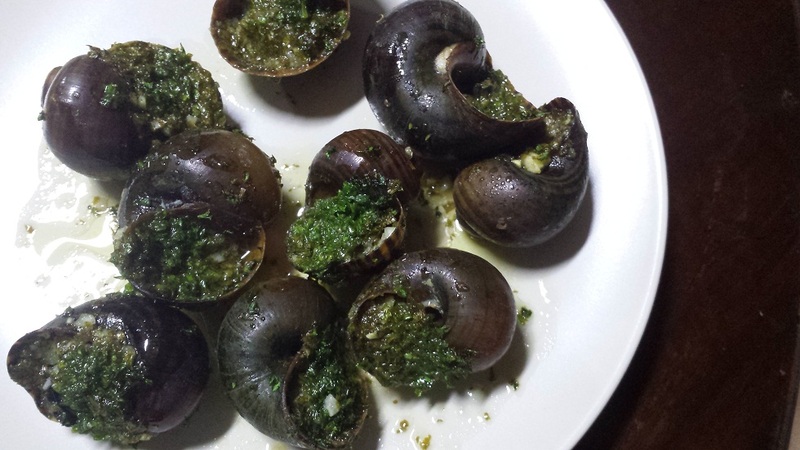 After watching one of the episodes of Andrew Zimmern eating weird food, I ended up craving some snails. And it was a full two days before I was able to buy some and it gave me enough info on researching how to properly make them. The thing with french recipes though (or American too) was that the snails were prepared already beforehand, out of the shell and cleaned of whatever much they were in, and you buy the shells separately. Here, you buy the creepy crawlies alive. 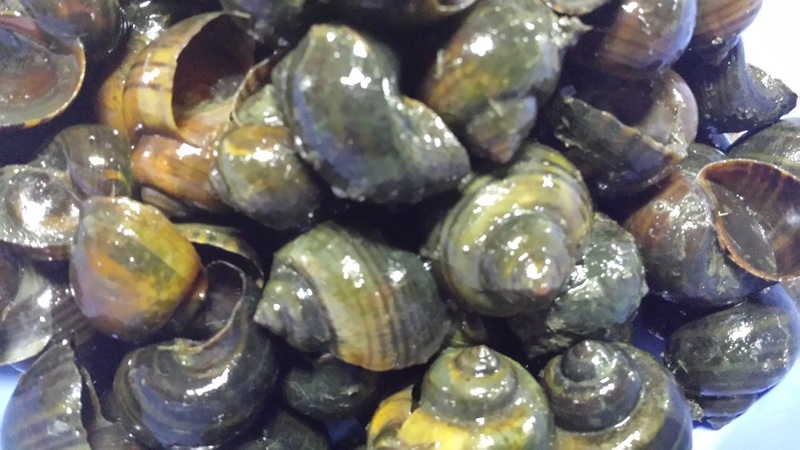 And it was my first time to try this kind of snail as well, the big round kinds, instead of the long ones. We purged them first in water. Then cooked them. Half was reserved to be cooked in coconut milk. The others were for me, picked out of their shell. I then stuffed the shell with a mixture of butter, parsley, garlic, onion, lemon and salt. 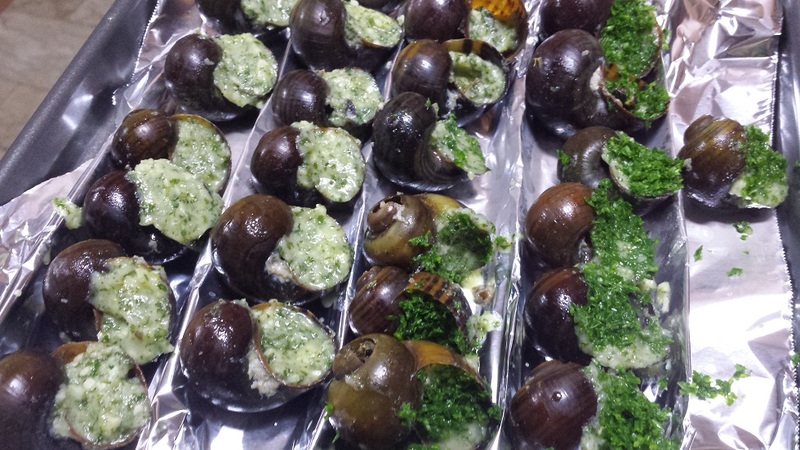 Then the snail was stuffed back in, and more butter mixture, topped with more parsley. After I chilled these for about an hour, I baked them in the over in time for dinner, a good 20 minutes. The butter was good, a bit on the sour side with the lemon (I overdid it, I think). But the snails were tough 😦 And I didn’t enjoy it as much as I should have. It was kind of hard to chew and I wasn’t sure if I got them too big, or I ended up leaving something that I should have. 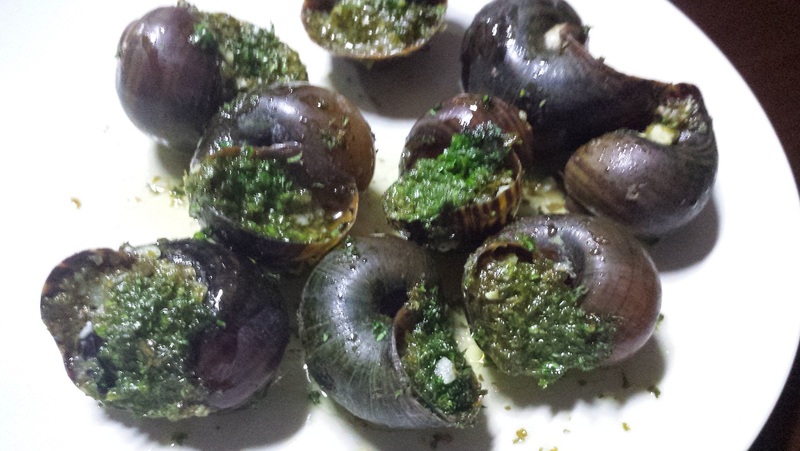 Anybody prepare snails regularly? I need more tips than those I got off the internet, and I did quite a thorough research. Something so expensive can be made so easily, but at this rate, I won’t be eating them that often anyway.